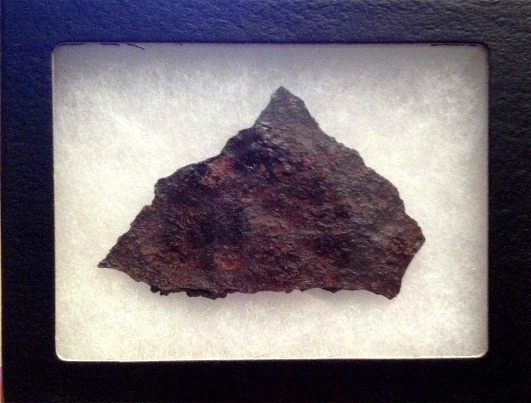 Measuring about 3" x 5", this piece of Titanic metal has undergone full conservation: From respected Titanic expert / lecturer Tarn Stephanos; "This is a fragment from a recovered set of Titanic's Mooring Bollards. In 1999 in St. Paul the water tank holding the bollard leaked and cracked open and, once replaced, the old tank (along with shed material) was thrown away into the dumpster...yes, tossed away! Rescued bollard fragments and rusticles were later given to exhibit volunteers and exhibit visitors."